I hate to be Debbie Downer, but…. 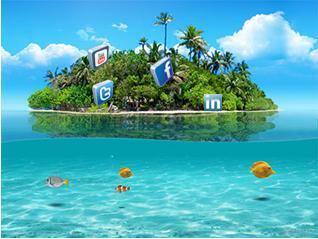 Social media is not an island. If you think social media is an independent silo, you have missed the boat. Social media is instead a super highway connecting and integrating all departments, staff and consumers together to build a better product, expand a service and enhance information. Social media will not be the death of face-to-face communication, print marketing, or anything. Instead social media enhances all other types of marketing. It helps you build better face-to-face relationships by increasing the number of touches you have with your stakeholders. Research shows that when people interact once a day or every other day online it increases nonverbal immediacy or liking (Bostedo-Conway, McArthur, King 2012). It is an exciting time in the history of communication. McLuhan’s Global Village is here (McLuhan, 1996). Just don’t forget that the village has multiple facets that live both on and offline. Bostedo-Conway, K., McArthur J., King, J. (2012). Computer-Mediated Communication and Nonverbal Immediacy: Exploring the Relationship Between Two Diametrically Opposed Communication Vehicles. McLuhan, E. (1996). “The source of the term ‘global village'”. McLuhan Studies (issue 2). Retrieved 2008-12-30. 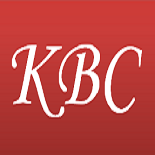 This entry was posted on June 26, 2012 by kbconway in Business, Marketing Strategy, Social Media, Web Marketing.